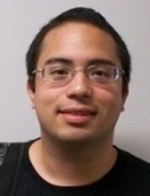 Raul Ramirez is a fourth year doctoral student in the Human Factors and Applied Cognition program at George Mason University. He received his Bachelor of Science in psychology from the University of Alabama in 2011. Raul is currently working with Dr. Tyler Shaw on projects focusing on vigilance, workload transitions, and the use of Transcranial Doppler Sonography to measure mental workload in humans. Shaw, T. H., Satterfield, K., Ramirez, R., & Finomore, V. (2013). Using cerebral hemovelocity to measure workload during a spatialised auditory vigilance task in novice and experienced observers. Ergonomics, 56(8), 1251-1263. Satterfield, K., Ramirez, R., Shaw, T., & Parasuraman, R. (2012). Measuring workload during a dynamic supervisory control task using cerebral blood flow velocity and the NASA-TLX. Proceedings of the Human Factors and Ergonomics Society Annual Meeting, 56(1), 163-167. Shaw, T. H., Satterfield, K., Ramirez, R., & Finomore, V. (2012). A comparison of subjective and physiological workload assessment techniques during a 3-dimensional audio vigilance task. Proceedings of the Human Factors and Ergonomics Society Annual Meeting, 56(1), 1451-1455.